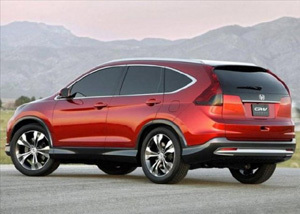 Now in its fourth-generation, the 2014 Honda CR-V is considered a pioneering crossover vehicle. It provides drivers a much more efficient engine, a refined all-wheel-drive system as well as a more simplified process for folding down the rear seats. These crossovers have maintained a top pick and can be test driven at Honda of Pasadena. The CR-V was the go-to crossover before the crossover became cool. It is available in three different trim levels the LX, the EX and the EX-L, which are all offered in both all-wheel and front-wheel drive options. Some of the most appealing new features found in the 2014 CR-V include spiffed up sheet metal, a much more efficient engine, as well as refinements with the new AWD system. Inside the CR-V you will find a much more simplified fold-down process for the rear seats as well as a huge selection of connectivity and technology features. One of the main ways that the CR-V options have been simplified is to provide only one powertrain for Pasadena customers. The only driveline is connected to a four cylinder motor and feature a five-speed automatic transmission. There are some critics that are surprised that the CR-V does not offer a six-cylinder engine as an option, since the majority of its competitors do. However, Honda has made the bet that the majority of their buyers will desire a higher amount of mileage from the smaller engine option than needing to have a towing capacity of six. While the Honda CR-V isn’t the fastest vehicle on the road, it is fast enough for the majority of Pasadena drivers, and will cruise quietly while traveling at highway speeds. The ECO mode available on these vehicles will help to promote optimum mileage by remapping the shift points, climate control settings and limiting the actual throttle response. When you switch off this ECO mode then acceleration will be much more noticeable quicker, but this is at the expense of some additional gas. The CR-V offers a vehicle that is comfortable to handle and drive. The enhanced power steering rack also offers a comfortable feature. The interior is well constructed and durable for even the roughest wear and tear. This most recent generation of the CR-V has also taken a huge step in the way of connectivity. This includes an iPhone interface for the Pandora internet app, which comes standard in all of the 2014 CR-V models, as well as offering Bluetooth hands-free phone abilities. When the system is paired with any compatible Bluetooth connection and phone, the driver will be able to hear any incoming texts read out loud and will be able to respond with a series of six different pre-set messages. Compared to when the CR-V first appeared, the latest offering is much stronger and larger than the original. This makes it an ideal option for Honda of Pasadena customers if you do not necessarily need the six cylinder engine. This entry was posted in 2014 Honda CR-V and tagged 2014 Honda CR-V by Honda Pasadena. Bookmark the permalink.